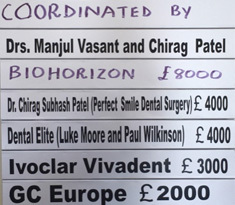 Make cheques payable to AOG. Send to PO Box 72307, London, NW7 0HQ. If you pay online, please send an email to heenaashah@hotmail.com saying that you have paid that amount. Please list names of your party and mobile contact number. On the shores of Lake Victoria 100 km from Kenya border and 100km from Ndabaka Serengeti Gate. You can get there from Nairobi by road. It is an eight hour taxi ride through a scenic area which includes rift valley. Alternatively, you can fly from Dar es Sallam directly (three flights a week) or fly to Mwanza (more choice) and then 2.5 hrs by road. 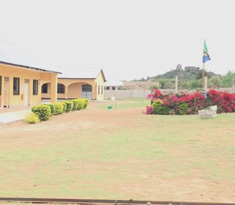 There is 13 % disability rate in Mara Region of which Musoma is the HQ. AOG bought a land of 7.5 acres to re-site the Lake Victoria Disability Centre (LVDC) about 4 years ago. LVDC was set up by Dennis Mahina, a local Musomian about 15 years ago. He is currently the director of the centre. 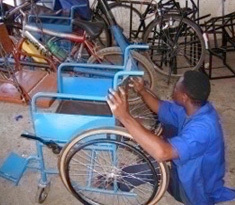 Primarily LVDC has provided vocational training for disabled adults to make them employable and also an opportunity for disabled children and orphans to attend school. 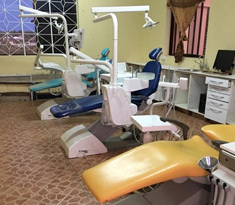 Medical and Dental services are provided free of charge. In future, it is anticipated that a small fee will be charged for the locals who can afford to pay. 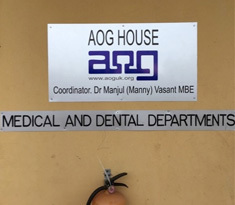 Since AOG's involvement LVDC boasts 12 buildings at the site already- similar quality to the AOG house below, although most are double the size. Thanks to the AOG and other partners from Germany, Netherlands and New Zealand. LVDC also runs a school for orphans and needy day students. Currently, there are 36 residents and 70 day-students. 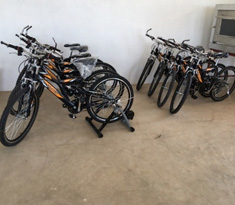 In addition, there are training workshops for Metal work (which includes making wheel chairs out of bicycle parts), Carpentry, Sign Writing, Sewing, Sign Language (for the deaf), Nursing training, Prosthetic limbs and much more. 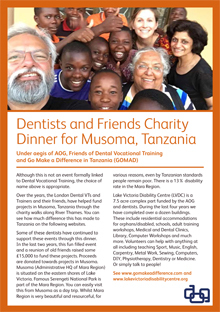 We are due to start dental training in June 2017 for the locals to carry out safe extractions and ART restorations. Unfortunately, as in many third world countries fizzy drinks are cheaper than water! Current practice of extractions by untrained witch doctors leads to septicemia and deaths- victims include many young children and even babies. There is some fairly good accommodation (one hotel has a swimming pool) costing around £15 to £25. Food is very cheap there and of fairly good quality. The next AOG project includes building accommodation for volunteers on site. This will take about 12 months. Where do I find more information or make a donation?